It's been ages since I last embarked on a gluten-free baking project, because it has been difficult to find free time this semester. Luckily, with my final exams behind me, I was able to break out my mixing bowls to test drive the Bella Gluten-Free mixes that have been hanging out in my pantry for a few weeks now. What's awesome about these mixes is that they are allergen-free and go from shelf to oven in mere minutes. With fun packaging and super simple instructions, they make baking fun and totally not intimidating. The Bella Gluten-Free line of mixes ranges from sweet and savory and the sampler I received included mixes that would be perfect from breakfast to dinner, with desert thrown in on the side. From pizza to warm chocolate chip cookies, baking was a great way to unwind a bit after a long, stressful semester. The cute cup packaging of the mixes serves both form and function, as you can prepare the majority of the mixes in the same cup they came in. As mentioned earlier, Bella Gluten-Free's products are allergen-free and have real, non-GMO ingredients. Each mix comes together quickly which means that the process of baking each mix is speedy and self-contained when it comes to messes. The first mix I tried was the pizza crust mix, which was a nice treat since I rarely eat pizza at restaurants anymore. My homemade pizzas tend to fall in the "ugly" category, but what this lacked in looks certainly made up for in taste. The crust is hearty and thick, crunchier towards the bottom and doughier towards the center. 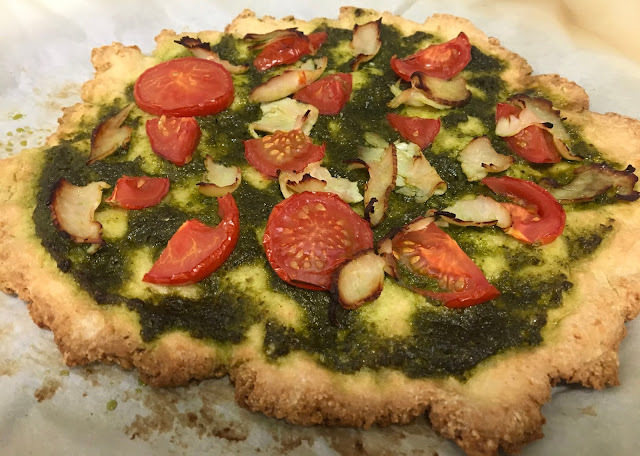 It supported the weight of my toppings (pesto, campari tomatoes, sliced chicken), and made a 10" pizza easily. You can tell that the mix used whole grains because of the flavor. Next up on my sample agenda were the chocolate chip cookies, which are sweetened with cane and coconut sugar. I loved that they were not sickeningly sweet, and had some complexity to them from their whole grain flavor. They baked up to be chewy with a crisp edge on the bottom, which is just how I like my chocolate chip cookies. My friends had no idea that these cookies were gluten and dairy-free, which is always a high standard to clear when baking allergy-friendly sweets. As it happens, I am right in the middle of moving, and have packed away all my baking materials. I did not manage to get to the biscuit mix, so have decided to host a giveaway for you- my readers! It ends on June 1st, at 12:01am, so hurry and enter now for your change to win! 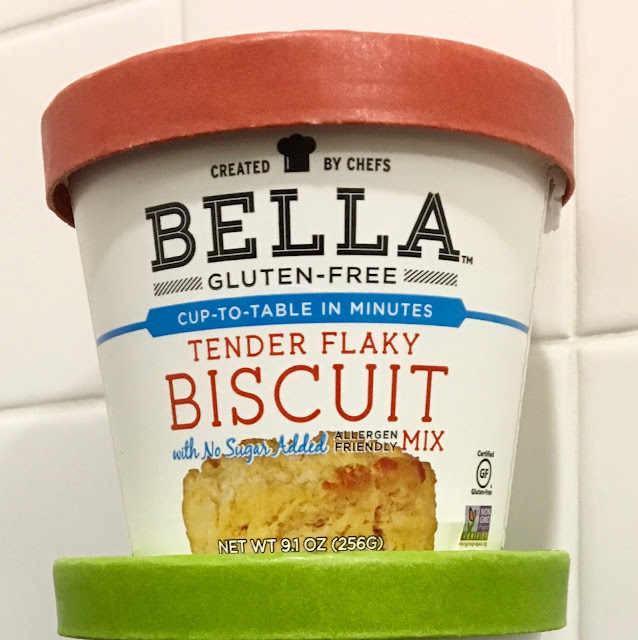 Overall I really liked the products I tried from Bella Gluten-Free and would definitely purchase them in the future. 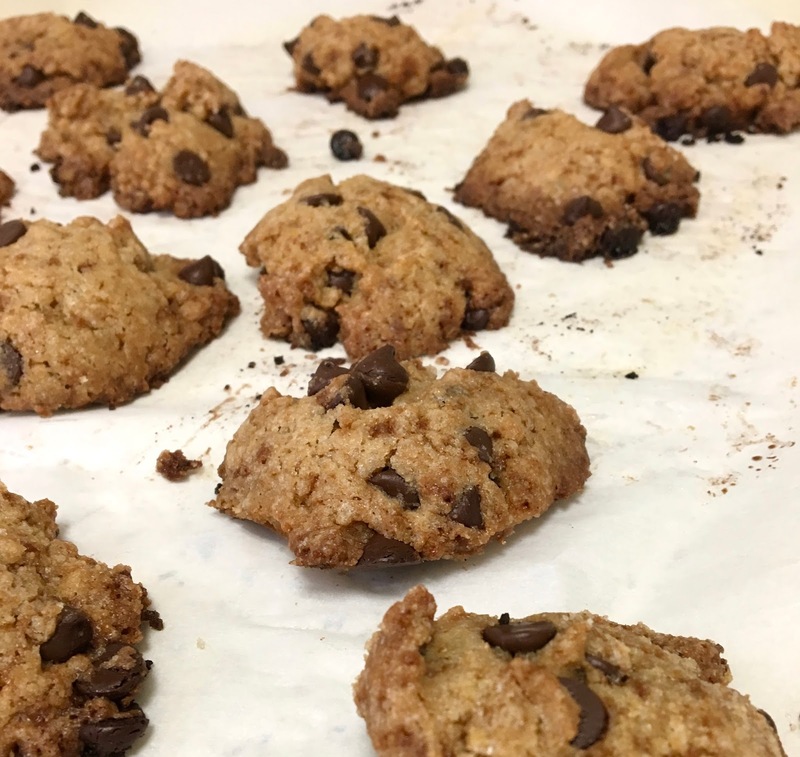 I like that they make baking easy and fun, and produce sweet and savory foods that are sure to please people with and without dietary restrictions. Check out Bella Gluten-Free's website right here. You can order online, but I have also seen their products locally here in Maryland at Wegmans. Disclaimer: This review is current to the original publication date. Updates will be noted. Ingredients and manufacturing processes can change without notice. Each product should be reviewed for individual nutritional needs. Feel free to to contact me with any questions or comments. 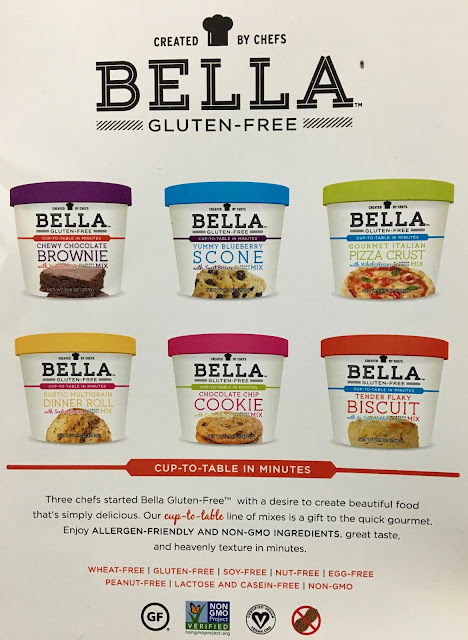 Bella Gluten-Free sent me samples free of charge for review purposes, but the review is a reflection of my personal opinion. The tender flaky biscuit mix! Sounds delicious!! I'm not a fan of the frozen biscuits I've had. I'd love to try these! I'm excited for the brownie! For sure the Gourmet Italian Pizza Crust, one of the hardest gf to get right imo. I think the dinner roll one sounds amazing. The brownies or cookie mix. Thank you for the chance.. Would love to try this. I'm excited about the pizza crust! I love making my own pizzas! The brownies is what I'm most excited to try!